Chinese Instrument 3000 years has a similar sound to the Super Mario Bros.
Have you ever heard of an instrument called Sheng ? 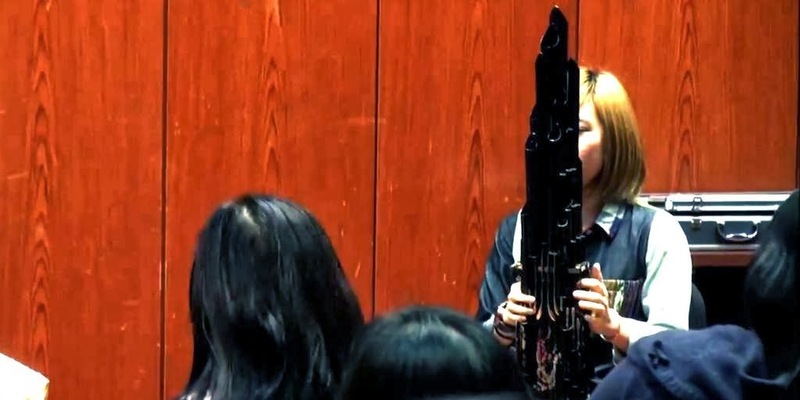 It is a musical instrument created in China in the year 1100 BC , which contains a huge amount of pipes through which the sound out - which , to boot, still gives him a peculiar appearance that resembles a mix between a portable organ and a clarinet . Okay, he may not be well known here , but fans " of the old " the most famous plumber of the games will definitely find that recognize the sound of the notes played by him . As you can hear in the video above, Sheng has a sound virtually identical to the background tracks and effects used in the first Super Mario Bros. .
More surprising than this, perhaps, is the difficulty that appears to be the use of such musical instrument : besides the massive size and awkward shape , there is a considerable amount of " keys " to be pressed to make the most different sounds . Anyway, seems to work both rewarding as well .